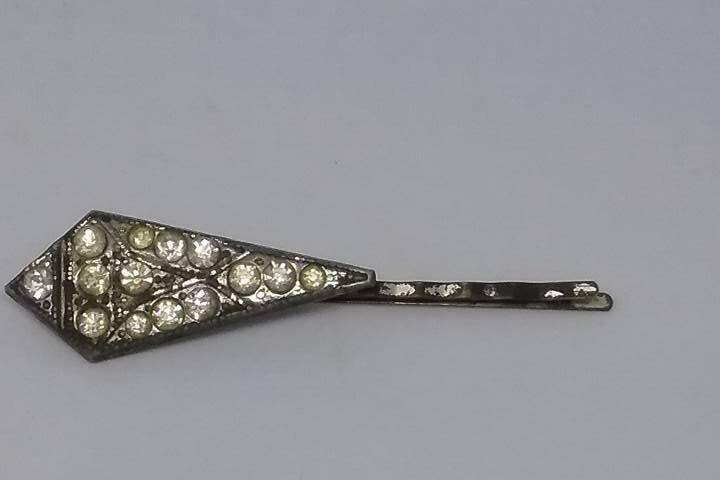 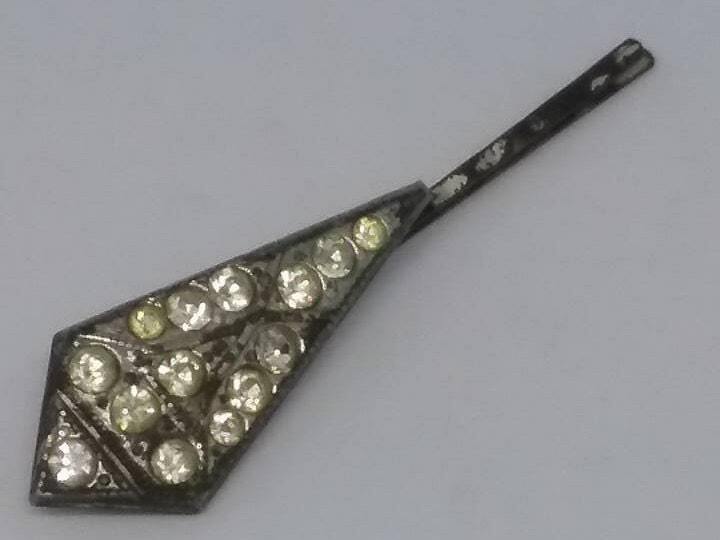 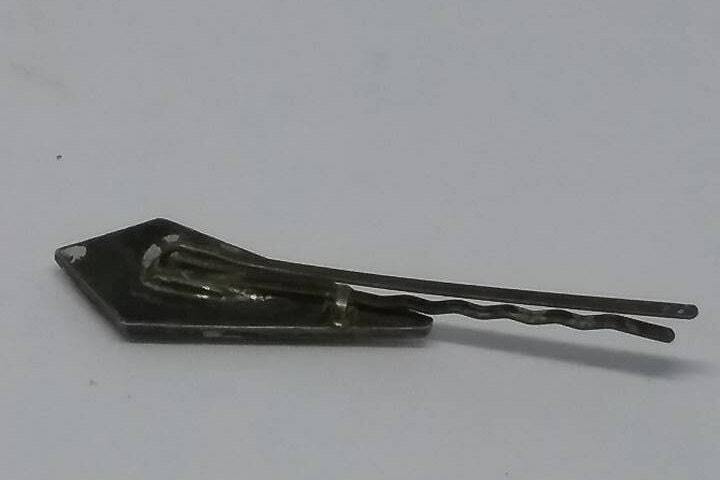 Victorian Rhinestone Bobby Pin. 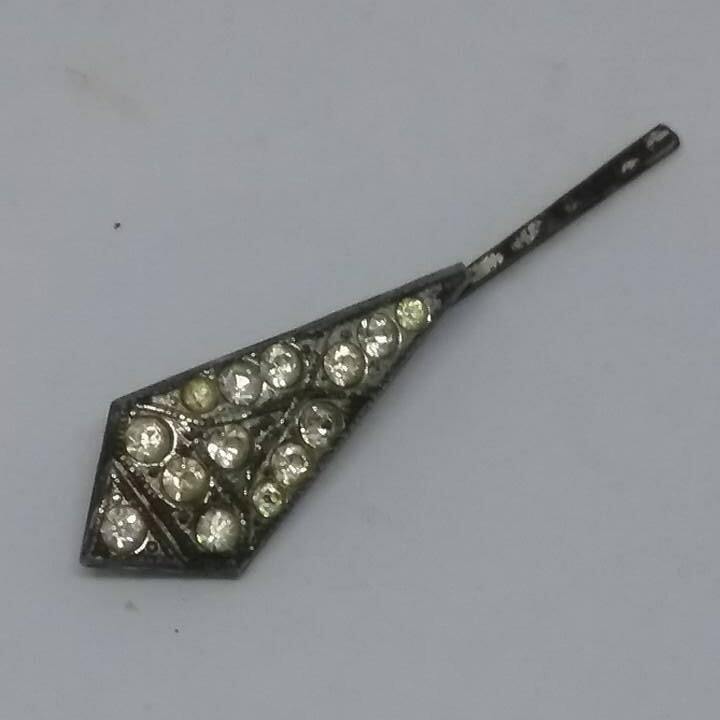 Crystal rhinestone Victorian bobby pin. 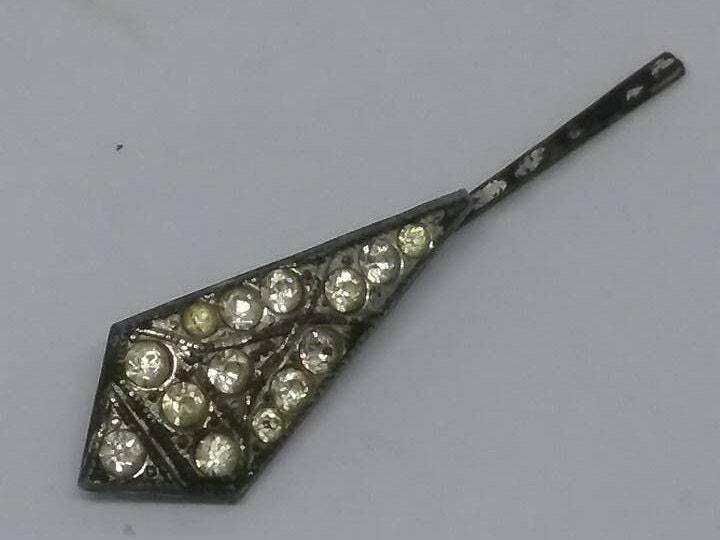 Some wear on the patina, but that should be considered due to the aging process, in very good antique condition. 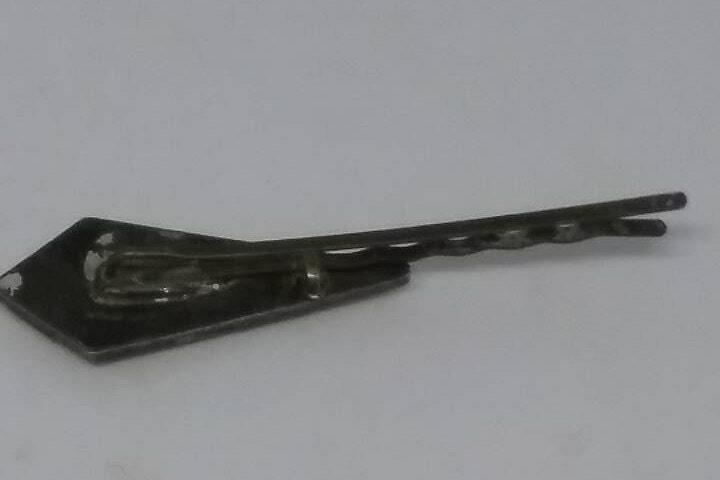 Very unique, and beautiful. 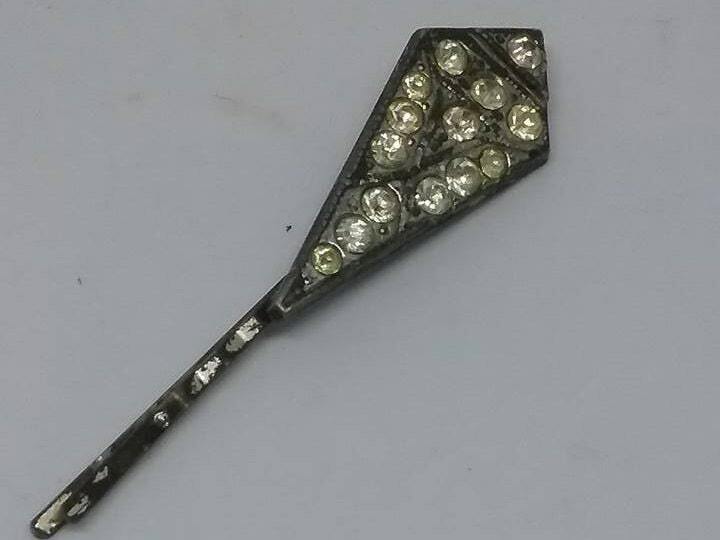 2.5" in length and widest width is .5"